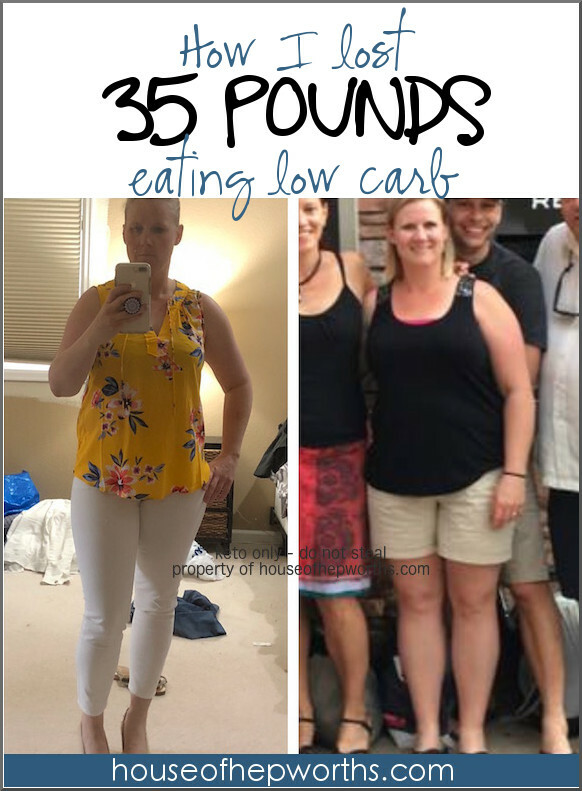 The past year I’ve been eating a low carb diet. 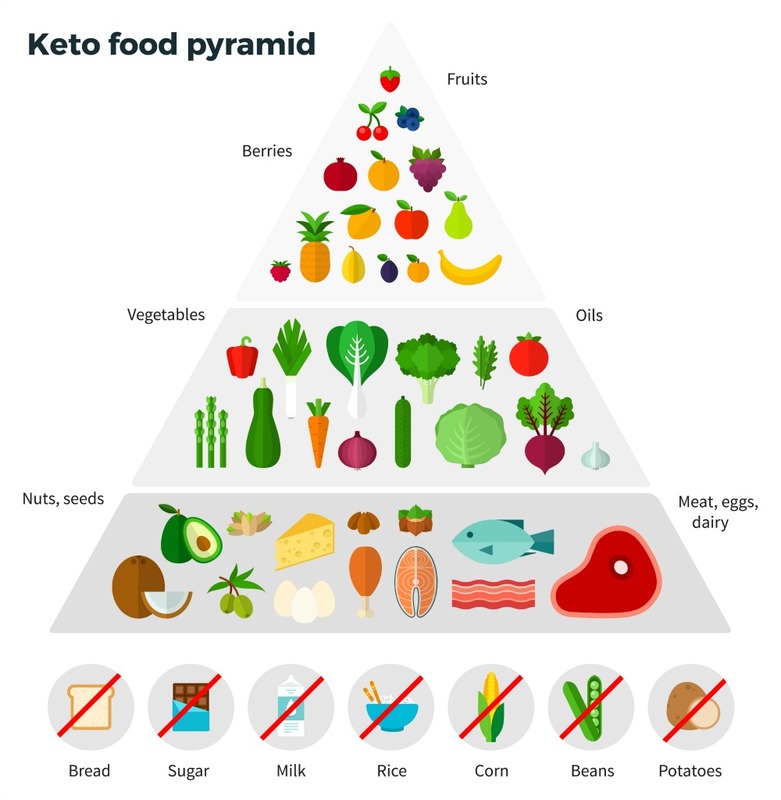 I loosely follow a specific diet called the Ketogenic Diet, or Keto diet. I’ve managed to lose around 35 pounds so far! I went from my high weight of 194 lbs and a size 14 to about 160 lbs and a size 6/8. I’ve been in maintenance mode for about 5 months now. I fluctuate between 157 and 164. I’ve posted about this a few times on Instagram and I get so much engagement from those posts with you guys begging me to give you more details. I will try to give you a good overview of my diet and how it has worked for me. If you have additional questions for me leave a comment below. First off, what is Keto? The Ketogenic Diet is a specific kind of low carb diet where you eat high fat, moderate protein, and very low carb. The objective is to get your body to produce ketones in the liver to be used as energy. There are many websites out there that dive deep into WHAT keto is and HOW keto works. If you’d like more info on that, here and here a few good places to start. They cover all sorts of stuff about this specific diet. If you ask 100 different people what they can eat on keto, they will give you 100 different answers. Some people are extremely strict and count every macro (very specific types of calories) they eat. Some people eat “lazy” keto where they don’t count macros (calories). 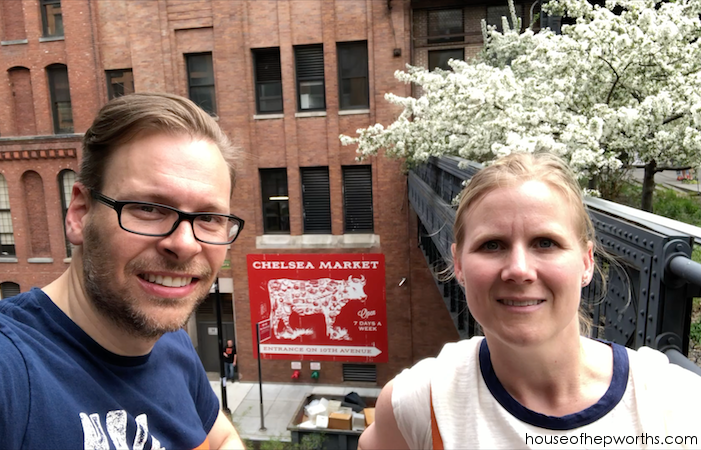 Some eat “dirty” keto which is mostly keto with a few low-carb foods mixed in. There are so many ways to eat this LCHF (low carb, high fat) diet. A true keto diet is very specific. 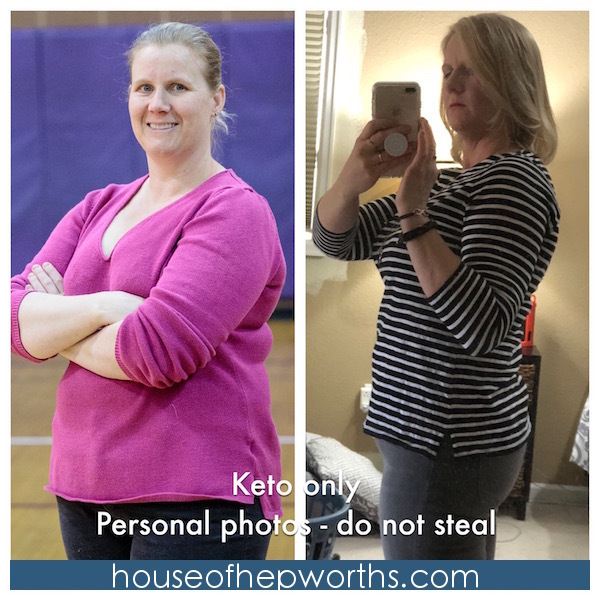 I myself follow a lazy dirty keto diet. I know what foods I can eat, so I just eat those foods. No calorie counting, no obsessing. I probably have lost weight a little slower than other people because I’m not super strict, but it’s been worth it for me because it’s mostly stress-free. First off, grains of any kind have to go. No exceptions. Same with sugar. No sugar of any kind is allowed on this diet. No table sugar, powdered sugar, brown sugar, honey, corn syrup, agave, etc. If it is sweet, don’t eat it. Sounds rough but eliminating these two food groups is a must. Also, no starchy vegetables and no fruit. What can I eat? I eat a lot of meat. Any kind of meat is good, but I eat fattier meat more than lean meat. I eat lots of vegetables, cheese, nuts, nut butters, eggs, heavy whipping cream, and berries. I know this sounds crazy – to eat fat to lose fat. Your body needs healthy fats. Your brain lives on healthy fats. Also, when you eat high fat and protein, it keeps you satiated for a long time. I can eat a steak for lunch and not be hungry again until 7pm. When I eat a high fat diet I am usually never hungry. How did I find this diet? I enjoy researching and reading about different ways to be more healthy. I’m always reading about different health foods, one diet versus another, which vitamins help your overall health. One day I was down a rabbit hole on Facebook and stumbled on the following youtube video. I was intrigued because it is about Type 2 diabetes. I don’t have diabetes and I’m not even pre-diabetic, but some of my family are so I’ve always been hyper-aware of it being a possibility for me some day. It’s a great video and encourage everyone to watch it. Now that you know what keto is, how do you do it? How do you stick with it? 1) Find a support network. I went on facebook and searched for groups about keto. 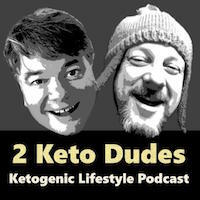 Some groups are very strict keto, some are lazy or dirty keto. Some are just for women, some are for people over 40. You need to find several, join them, figure out which groups you enjoy, and stick with those groups. Having a group of like-minded people to talk with will keep you going. 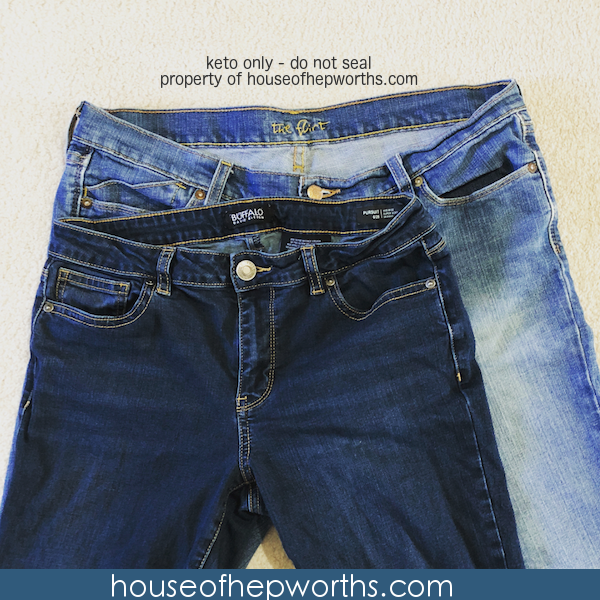 If there is enough of a demand, I will consider creating a House of Hepworths keto/low carb facebook group. 2) Take it day-by-day, hour-by-hour. Changing your lifestyle and turning your way of eating upside down feels daunting and scary. It feels overwhelming to look into the future and imagine living this new way indefinitely. You might think, there’s NO WAY I can do this a week from now, a month from now, a year from now. BUT you can do it today, so just think about today. What choices can you make TODAY that are better choices? Don’t worry about tomorrow until it’s tomorrow. Take your lifestyle and food choices one-day-at-a-time. It makes it much easier to manage. That goes for weight loss also. You might be thinking, “I’ve got so much weight to lose. It’s hopeless!” It’s not hopeless. Worry about the choices you make today. Don’t worry about how much you have to lose, celebrate each good day, each pound lost. Every pound of fat lost is a victory and you should be proud of that. 3) If you fall off the wagon, get right back on. There are going to be times that you slip up, fall off the wagon, or even choose to hop off the wagon. That is okay. You are not a failure! Your day isn’t totally wasted. Just stop. right. now. and get back on. So you ate a donut and now you feel like you’ve wasted your entire day. Don’t wait until tomorrow and keep eating crap the rest of the day. Just enjoy that one donut and then start eating healthy again. Just because you fell off the wagon at 10am doesn’t mean your entire day is shot. You slipped, but you can get right back on. I’ve caved many many times and eaten foods I wasn’t supposed to. I’ve even chosen to eat foods I’m not supposed to eat. I just tell myself that’s enough and I make better food choices the rest of the day. 4) You will never regret the cake you didn’t eat. Do you ever binge eat all sorts of crap and then feel so gross afterward and so full of regret? Me too. I’ve gone to events or parties, caved, and eaten the cake or brownie sundae. At the time it was tasty, but afterward I was so full of regret. Why did I eat that much sugar? I feel so sick! I’ve also been to parties or events where I DIDN’T eat the cake. I avoided it. I drank more water, or snacked on cauliflower or cucumbers instead. I wanted that cake so bad and I was sad IN THE MOMENT that I couldn’t eat it. However, I have NEVER looked back afterward and regretted NOT eating it. Ever. I’ve never looked back and thought, “Man, that cake looked so good. I really should have eaten it.” If you can survive the moment and avoid the temptation, I promise you, you will not feel bad afterward. Instead, you will feel proud of yourself for proving to yourself that you have willpower. 5) If you aren’t hungry, don’t eat. When most people start diets, they hyper-focus on all the foods they are allowed to eat, when they can eat, and how much they can eat. The food obsession has to stop! If you aren’t hungry, don’t eat. Why are you snacking? Are you bored? Are you stressed? Find something else to do. For me, I’ll chew a piece of gum, do chores, go for a walk, start a project. You just need to get your mind off mindless eating. 6) If you ARE hungry, eat! Sometimes people become afraid of food when they want to start a “diet”, and they find themselves scared to eat. If you are hungry, eat until you are full. If you starve yourself you will harm your metabolism and you will end up binge eating. Some days you might want ALL THE FOOD. If so, eat until you feel full. Some days you might not be very hungry at all. Listen to your body. It will tell you when it needs food. Depending on my cycle, there are days I eat one meal the entire day. I’m just not hungry. However, there are other days where I could eat my own hand. I feel so hungry. Those days, I listen to my body and I eat. I eat keto approved foods only, but I eat. There are days where I feel like all I did was eat non-stop all day long. And guess what? I still lost weight. 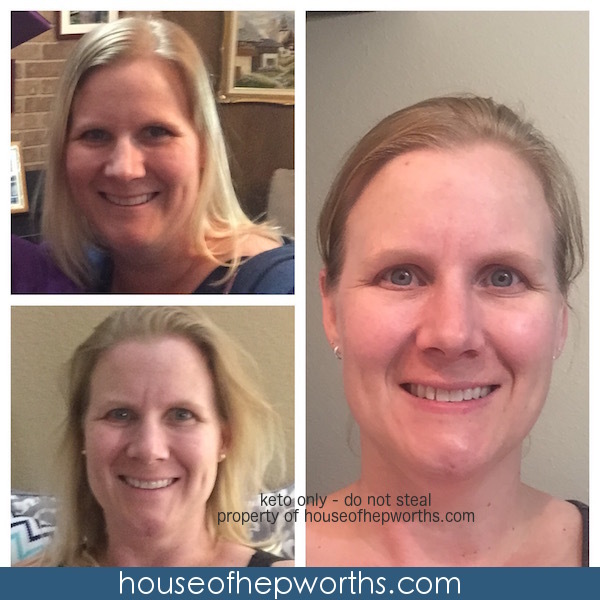 I lost 35 pounds! 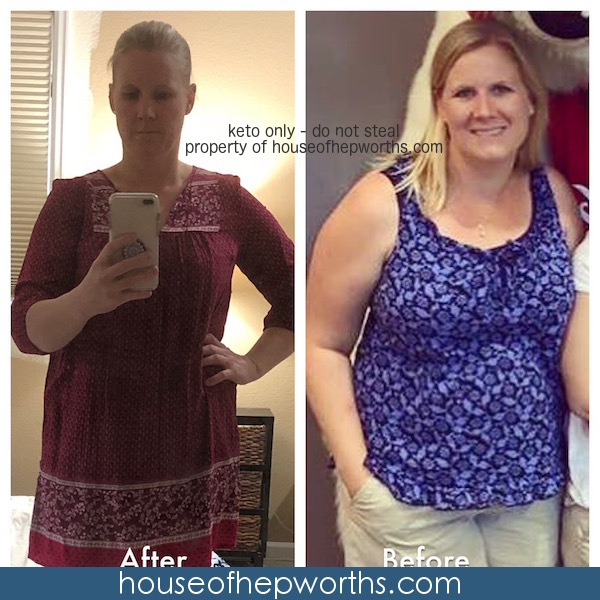 7) Keto and low-carb ways of eating are a lifestyle change. This is not a diet. I am not planning on going back to my old way of eating ever again. People will say to me, “You know, when you start eating normal again you will gain all the weight back.” Do you know what my reply is? “Why on earth would I go back to my old way of eating? That’s what made me fat in the first place.” If you change your lifestyle and improve your health, but then return to your old lifestyle, you will return to your old health. “Insanity: doing the same thing over and over again and expecting different results.” If you want to be a healthier person, you have to change your mindset, your attitude, and your entire lifestyle. 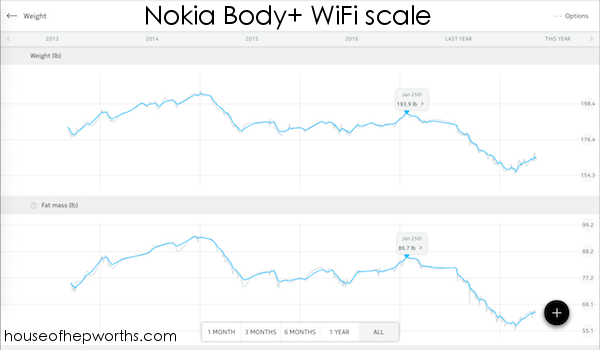 I have this Nokia Body+ scale. It has kept track of my daily weight and BMI since 2013! You can see in the graph that weight loss is not linear. There are ups and downs but overall it has been a steady decline. You can buy the scale here. 8) Rome wasn’t built in a day. You did not put on your weight in one day. It will take more than one day to lose it! There will be weeks where you lose a lot. There will be weeks where you feel like you aren’t budging. Stay the course. Weight loss is not linear. You will have ups and downs. The goal is to get healthier overall. You might not see daily changes in your weight, but after 6 months you will be able to look back and notice huge changes. It takes time and patience. This is a marathon, not a sprint. 9) The scale is a dirty liar. You will enjoy watching the scale go down. It is exciting. But sometimes the scale lies. The scale tells me daily that I weigh 160 lbs, yet my clothes tell me I wear a size 6/8 and a medium top. How can this be? I don’t know. It doesn’t make any sense to me either. 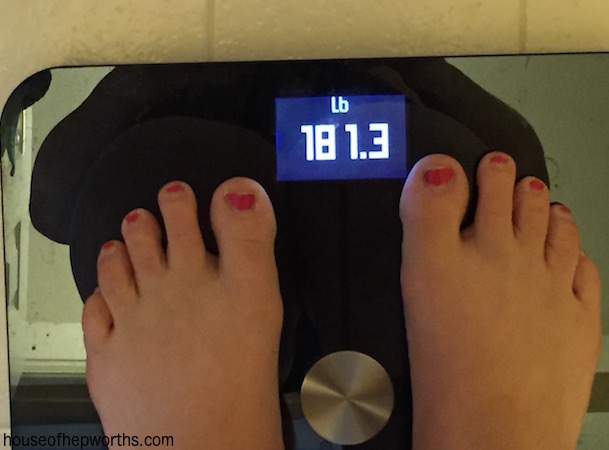 The scale is a liar. You need to judge your weight loss efforts based on how your clothes fit, not what the number on the scale says. Some days I’ll weigh in the morning and I will weigh up to 8 lbs more than the day before! Yet then the next morning I’m down 10 lbs from that. Your daily weight is so much more than how much fat you have on your body. 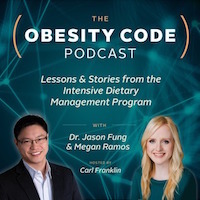 Your weight can fluctuate like crazy depending on water weight, your monthly cycle, how much inflammation your body has at the moment, or whether or not you’ve used the restroom recently. Don’t get discouraged and binge eat because you’ve tried all week and the scale says you gained 3 pounds. Don’t let the scale dictate your daily happiness. 10) Take pictures! Take before pictures. Take during pictures. Take fat pictures. Take pictures when you think you look freaking hot. I have hundreds of “before” and “during” pictures. Trust me, once you lose a little weight, you will be so thankful you have those “before” pictures to compare. There were weeks and months where I felt like I looked the exact same. You look at yourself daily. Your family sees you daily. You and them might not notice on a day-to-day basis that you are looking thinner. If you have some “before” pictures, you can take pictures “now” and then compare them. 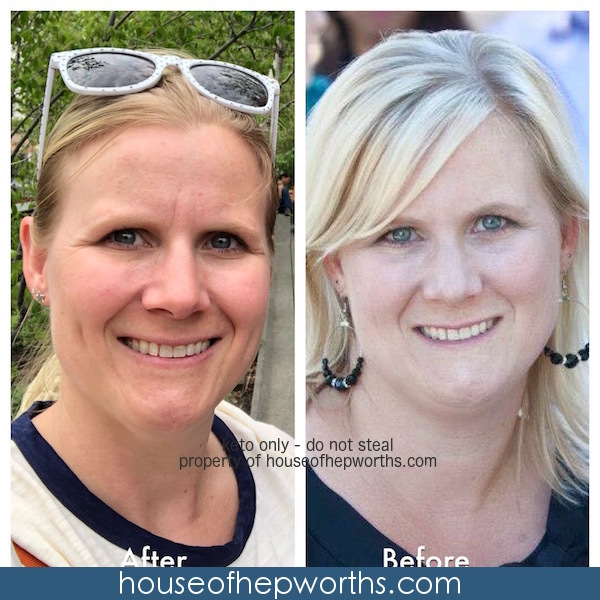 You will be shocked at how much better you look now! And those “before” pictures compared to your “current” pictures will be very motivating and will keep you going. You might feel gross now, but take the pictures anyway. You will be very glad you have them. 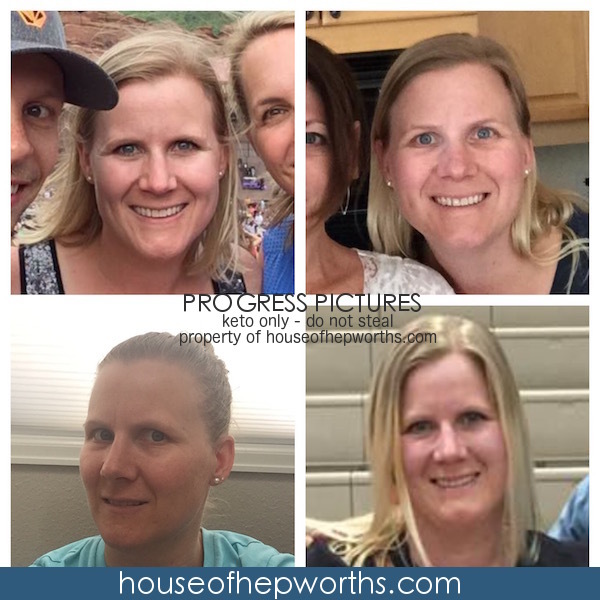 I use an app called “diptic” to create all my side-by-side pictures to track my progress. There are tons of photo apps you can use though. What is a typical daily menu for me? I have done this lifestyle for almost a year now, so my day is much more simple than someone just starting out. I am very boring when it comes to food. I could live off the same exact meal for the rest of my life and never get tired of it. You will probably want to create more meals than I do! Morning: I never eat breakfast. I start my day with a cup of coffee (or two) with some original unsweet almond milk. You can use half-and-half or heavy whipping cream though. I don’t add any artificial sweetener. If you want breakfast, eggs (with or without cheese) are always a great meal. Lunch: Around noon or 1pm I make a steak. Every. Single. Day. I’m boring I tell ya! I’ve found that steak keeps me very satiated and full all day, and I snack a lot less if I eat steak for lunch. Every once in a blue moon I’ll eat something different but I usually plan my entire day around eating my steak for lunch. I buy them in bulk from Costco. I like to get NY Strip because they have extra fat on them. Snack: IF I snack, which usually I don’t, it will be on a handful of raw nuts or a cut up veggie like a cucumber or cauliflower. Broccoli is also great but I’m allergic to it so I avoid that. Dinner: I try to make the family a meal that can be altered for my keto lifestyle. My family doesn’t eat keto and I don’t force it on them, so I’ll usually make something like chicken enchiladas or BLTs where I can eat just the chicken mixture in a bowl or make a BLT inside a lettuce shell instead of bread. On days that they want spaghetti or something completely carb-based I’ll just eat some lunch meat and maybe fry a piece or two of string cheese (this is delish!). Here are a few additional resources that have helped me a lot. 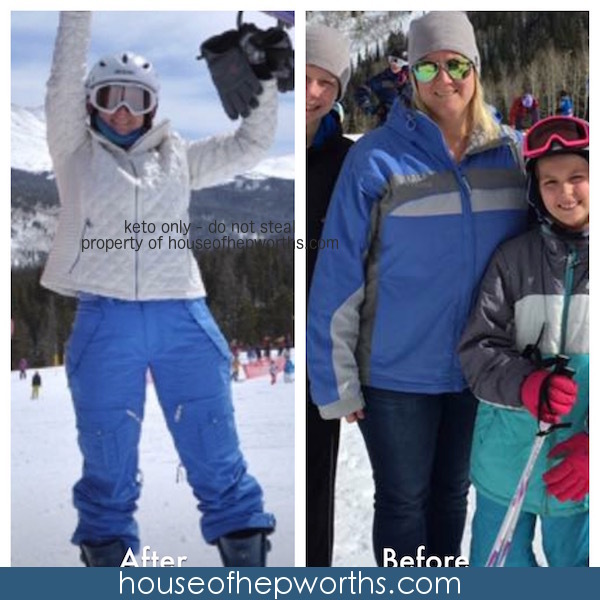 House of Hepworths Instagram – in addition to home decorating and renovating, I post about weight loss frequently. Also I give updates and tips in my stories. 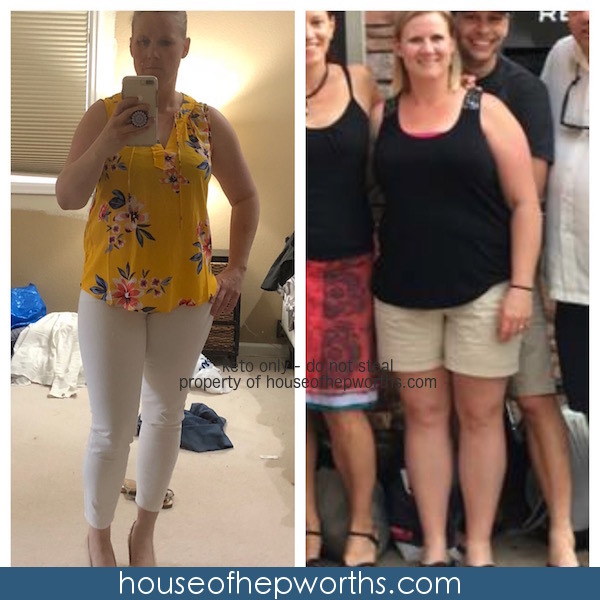 House of Hepworths Facebook – I post about weight loss frequently. This is a great forum to have discussions and ask questions. Keto Pinterest board – I pin lots of yummy looking keto meals and treats here. Some I’ve tried, some I want to try. If you have any questions, leave a comment below. I’ll either answer in the comments or write a new blog post. Thanks for reading! Have a wonderful week! You are an inspiration. Literally. You posted that Tedx video a few months ago and it was what I needed to hear. I needed to quit telling myself that eating carbs was providing balance in my diet. I needed to know that I was kidding myself. So I severely restricted sugar and grains and was able to drop the 15 pounds I’d been hanging onto for 4 years. Sue, this is amazing!! And you do look great now. You are rocking it. I would never have believed that you don’t need grain to survive until I started this journey. Now I can’t imagine any other way. Also my mental health has gotten so much better because of restricting the carbs. You look amazing! I’ve been doing keto for 2.5 months. I’m down around 14 lbs and just feel so much better in general. My original goal was to lose 20 lbs and I’m getting so close. Once I hit that I’m going to go for 10 more then maintenance. I’m lucky that my boyfriend is also doing it and he keeps me accountable. I would definitely have a harder time if I had to cook separate meals, so huge kudos to you for that! I do lazy keto too and I find it so much more sustainable. Although, I’m sure I’d be down more if I counted macros…or maybe not, I might have given up if it was too much work. 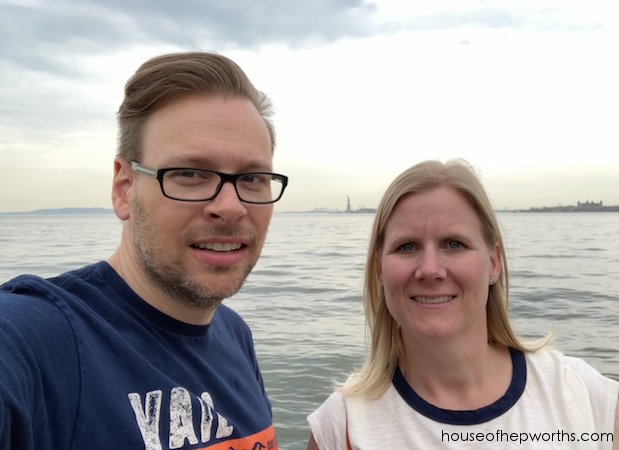 We did go buck wild on sugar and carbs when we went to Nashville for a long weekend, but we just got right back on when we got home. We do rare cheat meals if it’s a special occasion, but for the most part I don’t really feel like I’m missing out, so I’m not that tempted. Honestly, keto has been a huge change for me. I was definitely addicted to sugar and carbs and never thought I’d be able to keep this up for so long. One of my friends got me into keto after posting her before/after pictures. 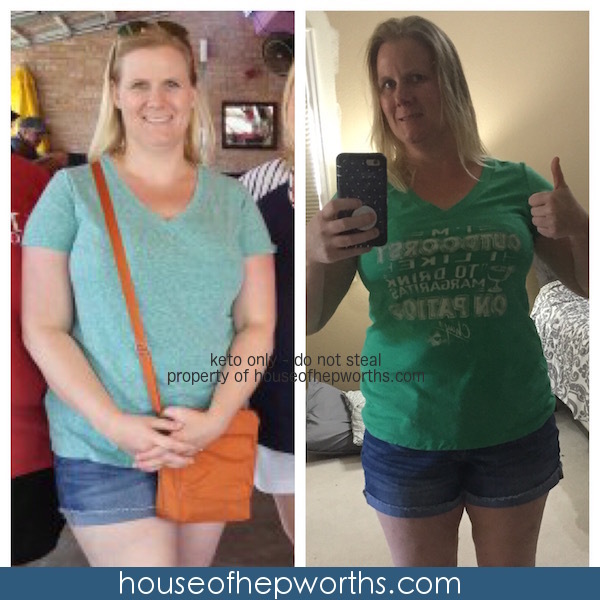 I was just tired of feeling like crap and didn’t want to be at my heaviest anymore. 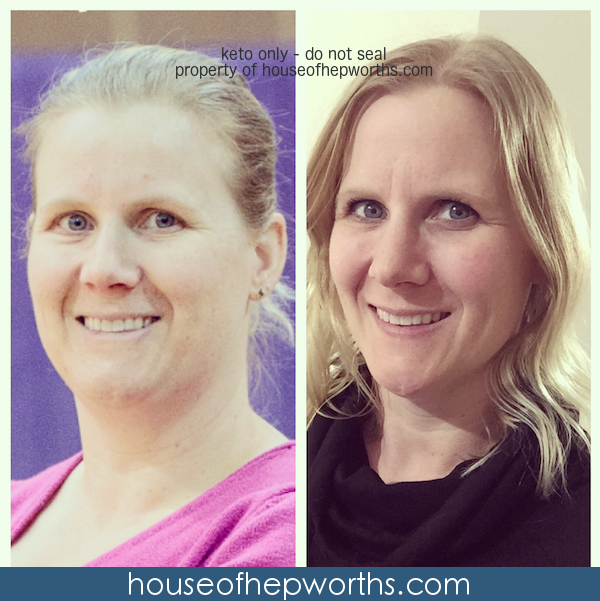 I found a 28 day keto challenge and figured I could do 4 weeks…and I just never stopped. I definitely can see myself sticking to this. Like you said, why would I go back to what made me fat in the first place? And if I do, obviously I’m going to gain all of the weight back. Sorry for the crazy long comment. Apparently I have a lot of feels about keto 🙂 I love seeing and hearing about your success! If you start a Facebook group, I’m definitely joining! Sam, I love this comment! Congrats for your loss so far and sticking to it. I’ve found it’s easy to stick to because I’m literally never hungry! When I’m not hungry I don’t crave the crap foods, so it’s a win/win. I don’t feel like staying on low carb is really that hard at all because it’s caused me to stop thinking about food. I never feel overly full and gross – I just don’t feel like eating! You’ve got this. I’d like to lose another 15 pounds. I didn’t mean to stop at 160 and go into maintenance mode. I just started cheating here and there on tortilla chips or french fries (no gluten ever though), and well, here we are. 🙂 Lets lose those last 10 pounds together!! I have been diagnosed with high cholesterol (total was 239). I’m curious if you’ve seen an increase in your cholesterol levels since you’ve made this change. I haven’t monitored my cholesterol at all. I had some blood work done years ago that said I have normal levels. I should probably go in and check again. I’ve read that it only raises your good cholesterol. Go girl!! You look great and happy… HUGS from Missouri. Amazing! I’m noticed huge positive gains as well. Weight loss has been great, but my overall mental health is so much better too! Thanks for this post, Allison! You look fantastic, but more importantly, from what you say, you feel fantastic! Congratulations! I would definitely join your FB group if you started one. 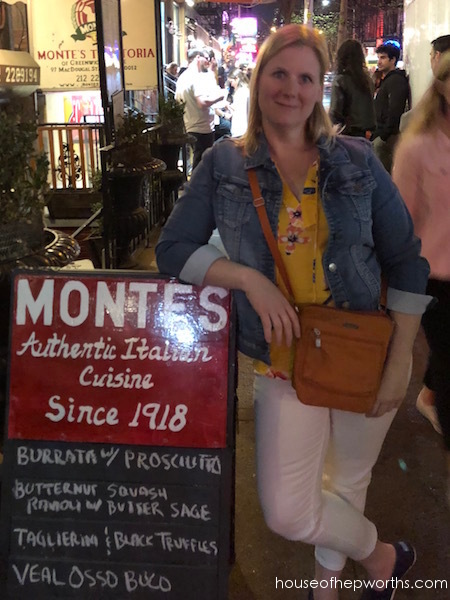 I tried Keto two years ago and gained weight even though I didn’t “cheat,” but I’m wondering now if I ate too many almonds. 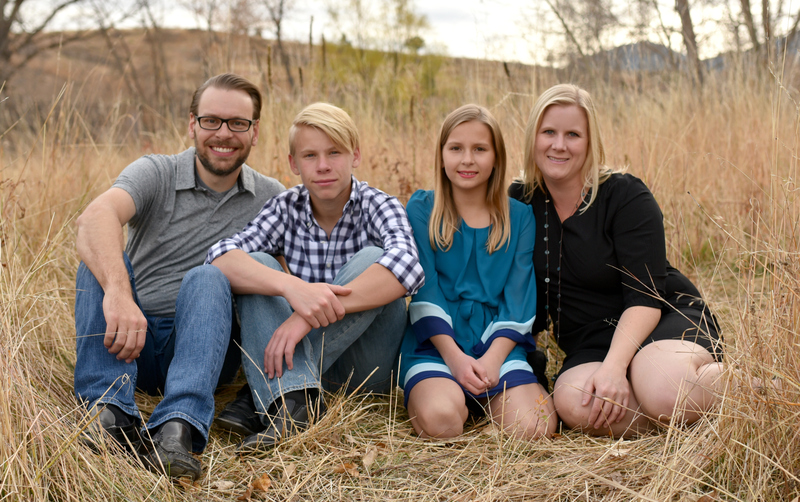 Having a support system would help those of us who have struggled with the Keto diet to be more successful! Thank you Collette! I tend to stall if I eat too many nuts or eat/drink any fake sugars.